Woronzow Road St Johns Wood London NW8. This superb mansion was designed by shh Architects. 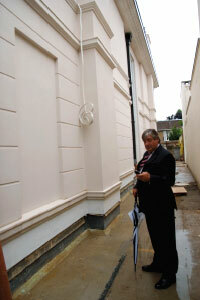 The Clients Quantity Surveyors were Cyril Sweett & Partners. 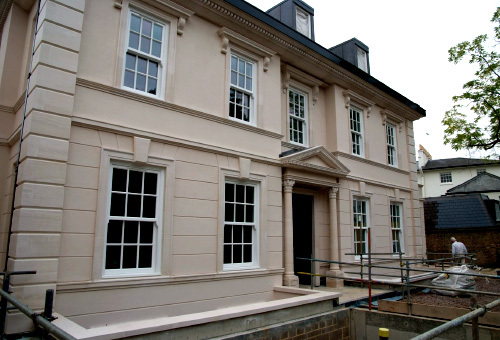 London Stone Restoration were nominated specialist subcontractors for this project. 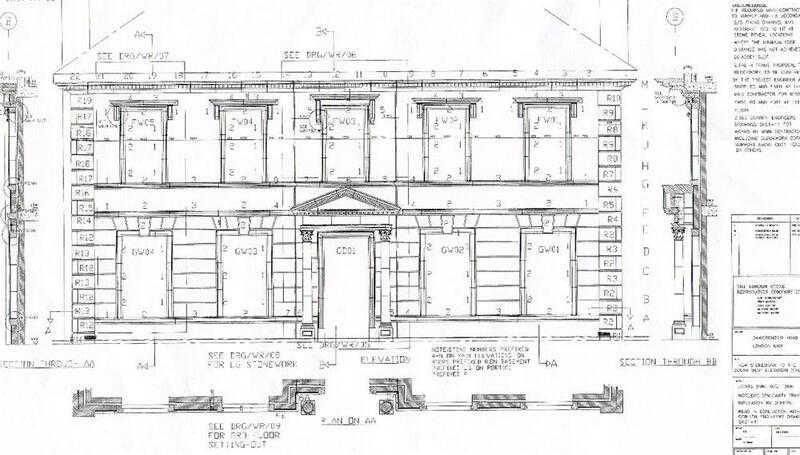 Working from the Architects Drawings our Specialist stone design draughtsmen further developed the concept and produced full stone working drawings fixing details, cutting schedules and templates necessary for manufacture and fixing of the stonework. Our Specialist Consultant Engineers produced all necessary calculations to confirm the design integrity of the fixings. 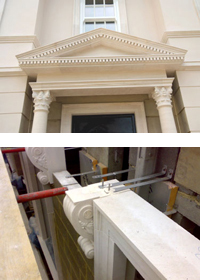 LONDON STONE RESTORATION ARE SPECIALIST IN THE DESIGN SUPPLY AND FIXING OF PREMIUM QUALITY STONEWORK. Through our associated company European Stone Importers, we have direct access to most quality European Limestones. The Architect required a white smooth faced limestone. We were able to source a suitable material from Portugal where it was subsequently manufactured. Our Quality Control team visited the factory regularly in order to ensure that the required standards of material selection and manufacture were maintained. The stone was fixed on site by our highly skilled masons who have many years experience in all aspects of stone masonry. Our specialist plasterers rendered the blockwork infill panels. Owing to planning restrictions the plain elevations had to be painted. This was subsequently carried out by us with a specialist potassium silicate coating.